Paper piecing made easy! By the end of this class, you will wonder why you waited so long to learn this technique. 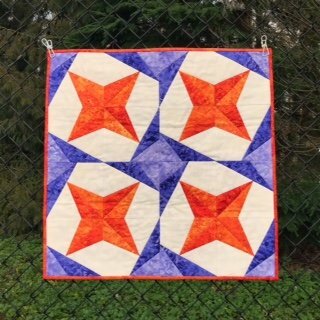 In this 6-hour class students will learn to piece at least one star, and go home with the skills and confidence to complete the 24" square mini quilt. Pattern included. 15% discount given on class supply list items when purchased at the store. Please let our staff know you are shopping for a class.